VLamorous must be used as part o your day time and night time skin care routines. Apply this product only on freshly cleansed and toned skin. Affiliate marketing websites have alleged that this product is made only from all natural ingredients, and does not contain toxic chemicals that can harm your overall health and well-being. This product is available via a 14-day free trial offer where you pay only for shipment and handling fees which will be around US $5. VLamorous reviews that endorse this product are mostly posted only on third party websites with clear affiliate marketing profit interests which, after all, does not make the information credible. The full product ingredients list is not disclosed which makes it difficult to ascertain product effectiveness and safety. Most other anti-aging creams, including the really good ones, take at least 60 to 90 days to show the slightest improvements in the appearance of wrinkles and other signs of skin aging which makes the 14-day trial rather useless because it’s too short of a period for you to evaluate how your skin responds to this product. VLamorous reviews posted by users complaining about being charged by the company hundreds of dollars later demonstrate false advertising about the free trial offer and, on the other hand, the importance of reading the fine print detailing the Terms and Conditions before sharing your credit card information and signing up for the offer. 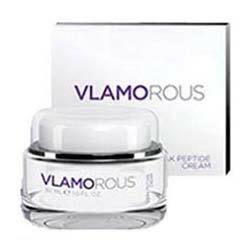 VLamorous is a product that promises to help reveal your more youthful skin. However, following a closer examination, this product poses more doubts than solutions. At a time when entrepreneurs want a piece of the still growing personal care and cosmetics industry, take heart if this product fails to meet your standards because there will be thousands of other jars that deserve your review.